There is a new credit card recently launched by SBI and its called SBI Card Elite and is powered by Mastercard. Well, I was wondering where the “Elite” names comes from and its likely to be from Mastercard itself. As you might know, Mastercard has various variants like titanium, platinum & world issued in India. And there is another variant called “Elite” in other countries like USA. I’ve been asking Mastercard about this Elite version as to when its planning to launch in India but got no proper response. But here we got it, but with nothing much of special features as i expected. So, SBI Signature got its name from “Visa Signature” and SBI Elite got its name from “Mastercard World Elite” kind of, though they haven’t disclosed it as a separate variant yet. You get an equivalent amount of welcome bonus from any one brand of your Choice: Yatra, Hush Puppies/Bata, Marks & Spencer, Westside and Shoppers Stop. Looks like they’ve removed Jabong voucher option which i opted for in SBI Signature card. To me Yatra is a good option as you can use it for Flight bookings. Here is the basic/milestone based bonus reward points structure of SBI Elite Credit Card. Well, that’s 1% less than SBI Signature credit card (no more available) which is powered by Visa. I’ve recently shared how i earned Rs.18,000 Cashback with this card. Also, they haven’t mentioned anywhere if the points can be redeemed for Cash Credit on statement on Elite card. Most likely you can. Complimentary movie tickets worth Rs.500 per month is an excellent benefit on this card which they have on SBI Signature card too and is my fav one. Complimentary lounge Access by Mastercard is really worth it as Mastercard has more affiliated lounges than Visa Signature cards Complimentary lounge access. However, you can get this benefit in most HDFC debit card and on ICICI coral cards. Accelerated Rewards: You can earn 5X Reward points on Dining, Departmental stores, Grocery and International spends. Special Features: Complimentary movie tickets, Accelerated rewards feature. Personal Concierge Service: Global Concierge Assistance for all your travel & other needs. Its kind of virtual assistant service over phone. If you’re looking for similar cards with cash-back feature, checkout the best cashback credit cards in India for more options. Do you think SBI Elite card is for you? Do share your views in comments below. Don’t understand why sbi cards are having that much joining fees compared to hdfc and citi cards. This card is perfect example, i think sbi cards are overrated. hmm, it is quite interesting. After reading this review, i decided to go ahead and get the SBI Visa Signature card and to my suprise, it is not accepting any applications. 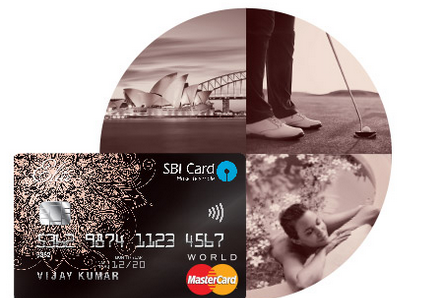 Is SBI phasing out its Visa variant to bring out the MasterCard variant in Elite? I don’t think they stopped issuing. Try offline/online application. Once has to go through at-least. Its one of their premium card and is very unlikely to happen. Surely a tactic to get Elite more applications. Looks like they’re trying to give more business to Mastercard over Visa for some reason. Try to apply via branch. SBI Elite – Visa Signature arrived in my mail today, when I had applied for SBI Visa Signature card. I believe SBI has stopped issuing ‘SBI Signature’, and now issues ELITE SIGNATURE, with identical milestones as ELITE card (3,4,5,8 lakhs instead of 2,3,4,5 lakhs). So while I will keep this card, I would not renew it next year. That’s interesting to know. Yes, Elite card is not so ELITE. spends of Rs. 10 lakhs or more in previous year. In all future communication from the effective date, your card will be referred as ‘SBI Card ELITE’.”. So, no more signature card from SBI it seems. I don’t know whether this message is intended only to me or to everybody else holding a SBI SIGNATURE CARD. Am yet to receive. But yes, its obvious and i expected this to happen someday or other. I have also received similar statement and more so it looked as if they have converted signature card to elite which os unethical, as we get less points on elite than signature. i havent got my statement yet, will it make sense to surrender signature card and get Elite card issued later. 🙂 and take the 5k gift voucher aswell..! Serious Qn, pls suggest. Not suggested, as Signature card is better than Elite one. I applied for visa signature and received elite visa signature with similar features I think they changed the card type now. Is this card worth the trouble for BookMyShow coupons, or should we look elsewhere? Any comments on the RBL Fun+ card? I got my Elite CC 2 weeks ago. Handsome limit. SBI didn’t ask for any income proof. Just the PAN & address proof. Based on the CIBIL score they gave a very good limit. If annual spend is 10Lac, next yr annual fee waived off. Accelerated points are less attractive compared to SBI Signature CC. 4 points = Rs 1 confirmed. 250×2 = Rs 500 per month off on BookMyShow. 2 complimentary visits/quarter in Airport Lounges. They also issue cards based on savings a/c transactions & Card on card basis for which they don’t ask for IT. Any idea about the difference between Elite and Elite Advantage? I checked it online in sbi site and I couldn’t find any. I currently have HDFC Moneyback card and Citibank Rewards card which I don’t like. I’m looking for a card with Lounge access and Bookmyshow discounts. SBI Elite has both these. Also can you tell me about the voucher on Yatra? Does it come with restrictions? As far as i know, “Advantage” is FD based card. HDFC Regalia is good for lounge access and overall reward rate. Unsure about yatra voucher. Haven’t used. and this was as easy to get, just call cx care she sent me a messege and an email with code. Would it be a nice idea to pay the Annual fee and getting it back as Yatra voucher. And then using the card for the BookMyShow offer alone for one year and then closing the card? (Assuming they don’t introduce the quota). As currently this is the only card i could see which provides offer on BMS without quota limit. Because I’m not a person who could spend lacs and lacs with the credit card. Max would be around 2 lac in a year for me for which I have HDFC already. Yes, you can do that for sure. how to avail the offer voucher of Rs 5000.00 ? Could not find th mastercard elite variant on teh SBicards site on the Visa variant. Are they not acce\pting new applications for this ? What are the beenfits of Mastercard over visa ? It will be charged to the first month statement. Just an update SMS i received from SBI, says that the foreign txn markup fees stand corrected to 1.99% + tax now. Reduced from an earlier 3.5%. I guess this is how they want to take on HDFC Regalia. This definitely adds some value on this card for ppl who have overseas expenditure. Are you also getting accelerated points? I also got this SMS that says the foreign txn markup fees stand corrected to 1.99% + tax now, and I didn’t got my accelerated reward points for the transactions which I did this month.. I am also seeing a new SBI Elite Advantage card listed in SBI website, but more or less it provides same feature as that of SBI Elite, note sure what is the difference. “Advantage” is nothing but a secured card. Yes, markup fee reduced but its effective rate is 0.5% loss. Will write an article on that shortly. Now it is only available in visa. I wanted a mastercard though. Is the BMS offer available only for a limited period of time? or its till you use the card? I m using SBI signature card since last one year. I have paid annual fees Rs5000/- plus tax. I was expecting gift voucher of Rs 5000/- but after speaking with SBI card customer care person, informed that now this offer is cancelled and your card has converted SBI signature elite . Yes, you must go for Simply Click instead. Elite is for high spenders to get good value back. Thanks for the info. My first year is going to be completed with SBI Elite card and now the renewal charges of Rs 5000 + tax will come. My annual spend is around Rs. 5-6 lacs. What do you suggest should I go with the renewal or should I go for another credit card? Consider downgrading it to simply click. 1. Complimentary Club Vistara Silver membership along with 1 lounge access voucher and 1 upgrade voucher. 2. Complimentary Trident Privilege Red Tier membership. I’m soon going to use the lounge benefit for 1st time on my SBI Elite card. Wanted to know if you have used it @ domestic lounge of Mumbai T2. Is entry free for add on cardholder too? Since I’m flying with wife, don’t want any embarrassment! If its Mastercard, yes you have access, only for primary cardholder. received elite signature card,my annual usage is around 3 lakhs only, i think i am unable to use the other offers of the card. I can surrender the card without start using it,if i surrender what are the charges i have to pay. You recommended I should get this SBI Elite over Prime. However, it seems the prime has better rewards. Please clarify and update if there is a change to Elite rewards to match that of prime? SBI Elite because you spend more also has more benefits. SBI Prime is good for spends around 3L. Please update the article with latest updatation such as 10 lac spend based waiver on annual fee, free priority pass usage allowance, club vistara membership. Elite card is a fantastic option, especially when HDFC cards are witnessing massive devaluations. Yes you pay Rs. 5750/5900 to begin but you get value back easily by way of shopping voucher. More over this card offers you best movie benefits, no spend conditions, no day of the week conditions, no 1+1 etc. By 2 or more tickets and 500 Rs. Are reduced from amount payable. Trident & Vistara Siler membershup are icing on the cake. And than there are periodic Visa offers like 15% discount on medicines at Apoolo farmacy ,& others. 10000 extra points if you reach annual spends of Rs. 3 lacs. So even if you pay 5K as renewal fee, you get all the amount in cash back plus some. And Rs. 6000 worth of movies to top that. Meh… reward rate of 0.25paise/RP is a dampener. Holding elite since quite a time now. This card betters an amex card. Plus you get a 10X earning possibility here that I don’t get on my amex . Catalog redemptions are the best way to utilise elite. 50000 RP will give you a 16000 INR yatra voucher (that gives a 1RP=0.32 p instead of 1RP =0.25p). Also, SBI is much more reliable than HDFC that recently announced changes on Diners Club, making them almost useless. I have a Titanium Card…..do you think I can get an upgrade to the Elite Card. On the Annual Income side, I easily cross all the criteria. Even if your spend is > 10 lakhs, the rewards are not that greater in Elite vs. what you get in Prime. Prime – 11,000 Rs. worth Gift voucher + (BMS offer of 1+1 if you have Visa Signature) + RP earnings are better on Utility and Grocery. It is a no brainer in favour of Prime if spending < 10 lakhs as extra 5k renewal on Elite. Are you sure BMS offer on Prime? But it has fixed quota and difficult to score unless you book the offer when it opens at 10am or 4pm. BMS offer on visa signature is based on conditions.Elite no such conditions. So please don’t compare. I am using SBI Signature card for last 1.5 years. My annual spend on this card is around 5.5 lakhs. Suggest me a good suitable card for me other than SBI. Chek out the blog. It has the answer. I am using this card from 1 year. last month i paid renewal fee. I called customer care gv vocher. Now they are saying vocher is only for first year and it will not applicable to renewal. Yes, GV voucher only for first year. For renewal fee waiver, you need to have total annual spending of 10L. I have a HDFC regalia and have applied for SBI elite card… The reward points in regalia accrue with every spend at 4 points / 150 spent as against 2/100 on regular spend plus milestone based in elite. Which means points accrue faster in regalia than in elite as I dint need to wait to spend 3 lacs to earn 10k points. Meaning to say if I spend 2.5 lacs in 3 months , I would have earned 6667 points in regalia as against 5000 in elite and by spending another 50k in the 4th month only I would have earned more points in elite than in regalia (16000 elite vs 8000 regalia). Further in regalia I guess u can redeem points which is appxtly 0.60 ps to 0.75 ps (flight n hotels) per 1 point as against 0.25 in elite…Which means regalia has more value than elite (5k-6k regalia vs 4k elite). Based on above, on a long term basis is it better to use elite just for BMS and lounge while actually spend using the regalia to earn points (plus lounge for anyone accompanying) which has more value than elite ? Am I missing something ? Based on you illustration, it seems like already your spending 4.5L(2.5L(3 months) + 2L(50K for next 4 months)), if you spend another 50K then you’ll get better benefits. If you spend 5L on Elite, you’ll get minimum 45K reward points(10K(3L milestone benefit) + 10K(4L milestone benefit) + 15K(5L milestone benefit) + 10K(regular reward)) and that’s equivalent to Rs.11,250. Also spending on grocery, department stores & dining gives you additional 5X rewards, but only shortcomings of Elite is you need to spend 10L(you have another 8L milestone benefit of 15K reward points) to get renewal fee waiver. I recently upgraded my SBI prime to SBI ELITE card. I was expecting that they will also enhance the credit limit. But they kept the same credit limit. Is there any way to increase the credit limit based on other cards limit. As I have other cards which have good credit limit but SBI didn’t increase my credit limit. even after having ITR over 15L. Is there any way to increase credit limit of SBI. Yes, but you need to negotiate with their customer care. I upgraded from simply save to Elite, initially they have same limit and told can’t enhance limit until next 6 months. I raised to customer card to cancel the upgrade and close the card, if they can’t provide me decent limit, after 2-3 conversations they increased limit by 4 times on sending latest payslip. Will our complimentary PP membership be renewed after 2 years? I travel a lot, it was one of the reasons I have applied for this card. I got the offer to upgrade my SBI Prime card to Elite. As per my understanding, the reward rate in PRIME card is much better than the SBI Elite card. Only major advantage of the Elite card are the free movie tickets. So, it makes sense if you are a regular movie goer. For me, I go for movies less frequently and I also have a “buy one get one” offer on my Citi debit card for movies. So, do you think it makes sense for me to “Upgrade”? The biggest issue with this card is very high renewal fees with ZERO benefit. I am not sure why people would go for this card when there are way better premium cards like Yes first or Diners black with much better reward rate and lower or no renewal fees. m holding the sbi elite card which i use mostly in the last financial year before my renewal fee i had spent 30 lakh on my card . got the rewards point more than 1lakh + and converted into INR . my experience was awesome with sbi elite card. can u suggest which card i should opt . annual spend in e-commerce more than 6crore . Akhilesh did you say your annual spend in e-commerce is 6 crore? ?🙄🙄 what exactly do you spend on and how do you manage this spend with credit card limits!!! 5 Lakhs spend on Vistara flights!! Its only for spends on Vistara that gives you 9 points per 100 INR. Isn’t it? He is confusing with the points that vistara gives and the points on spends with card which are of course only2-3 not 8-9 depending on the tier status on Vistara. funny thing is before this I had SBI Yatra card with 75K limit, which I had closed in 2015. So the NO salary slip stuff was surprising. Signature/Elite was one of the best CC i have used. My annual spend was close to 4-5 lakh and still I saved around 20k with the card alone due to cashback and reward points and movie tickets. I continued it for two years and then closed it. Alas! as I closed it, I can not apply for this card ever again as SBI tells me their system does not allow a customer to reapply for a CC one it was closed. My expense on sbi elite card is 4 L annually. Should I continue to use this card. Depends what you are looking for and spending on. In general, shift to HDFC Regalia. I am got an offer from SBI for an upgrade to Elite, I am also comparing benefits ( and ofcourse reading the posts ) to me PRIME looks like a better option. I spend 7 – 8 Lakhs per year on credit cards. I see the cashback is better but then again prime has 20 reward points for auto payment of bills.. I have two cards from SBI, prime and click and I swap between the two to make the maximum points ( click for online and prime for everything else )….. so is it stil worth the upgrade to Elite ? How did you get two cards from SBI and that too regular cards? I heard one regular and one co-branded is allowed. I have simply save card. How many complimentary visits available on the priority pass that comes along with this? Foreign exchange mark upfee is 1.99% on this card. I use it.